"The first time we tried Mogami cables, the difference in the sound was huge. Loud, clear signal, with powerful, punchy low end. And they're bulletproof. Simply the best, the only cables we trust." "The cable of the gods!" "I'm amazed at the added low end and definition the Platinum instrument brings to my bass rig. It delivers the thunder." Universally recognized as one of the most potent acts in music today, HIGH ON FIRE creates modern heavy metal that merges primal fury and aggression, hesher bombast and hall of fame heaviness. Described as "a supersonic exercise in conquest by volume," HIGH ON FIRE has rewritten the hard rock rule book since its formation in 1998, forging a style and sound that is both critically celebrated and absolutely unique. 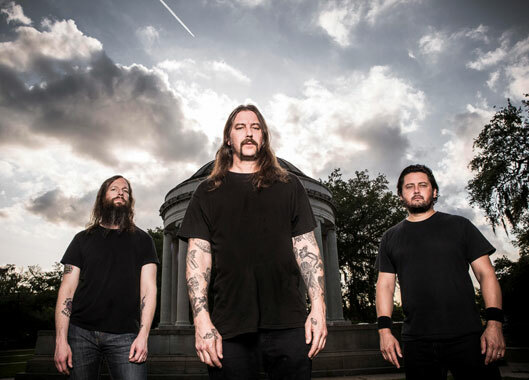 The group features vocalist and cult guitar hero Matt Pike -- also a founding member of the famed underground band SLEEP -- along with powerhouse drummer Des Kensel and talented bassist Jeff Matz. HIGH ON FIRE's most recent studio album Luminiferous was released on June 16, 2015.